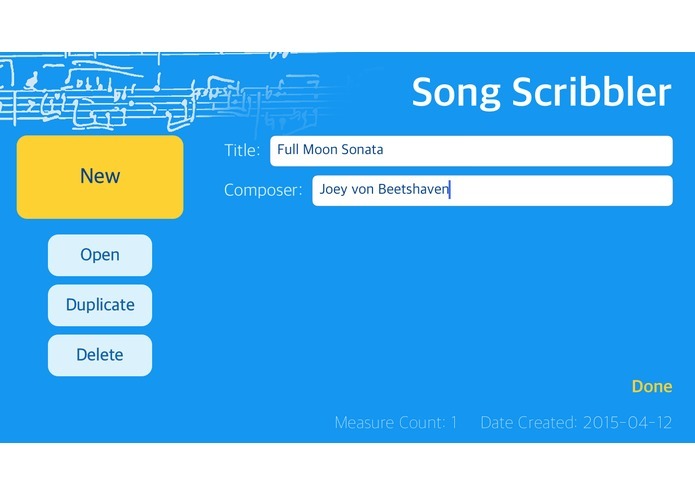 An infinite-scroller music sketchpad for songwriters on the go. I spent a lot of time doing music before arriving at where I am now, and I used to love composing and writing songs. Even now, sometimes I'll get a tune in my head and want to write it down before it leaves. There are feature-heavy sequencing programs out there that have a lot of fancy things you can do, but when you're trying not to forget something, time is of the essence. I needed something that I could pull up and jot down notes in a hurry. This was my solution. 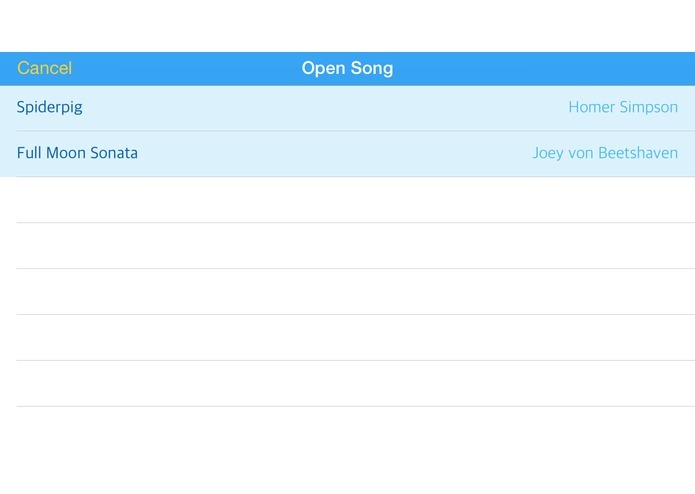 The menus are fairly simple, with the ability to save and open song files. 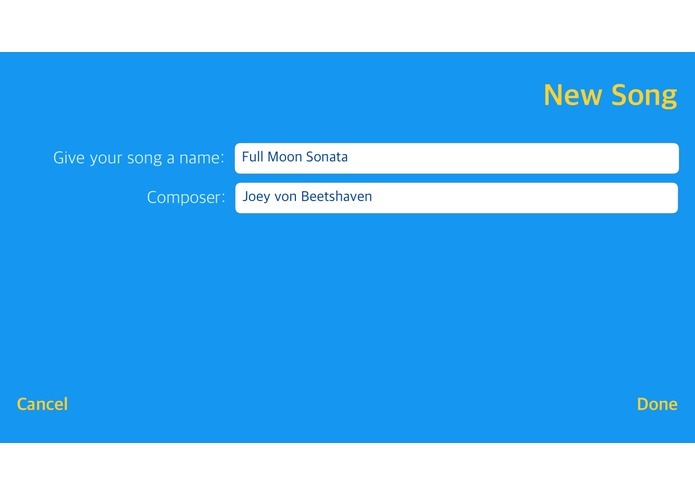 The main composing interface is a five-bar music staff that scrolls infinitely to the right. The button in the upper right corner is to close off measures, and will eventually have the ability to add different bar types (double, repeat, etc) by tapping it more than once. In the bottom left corner are left and right arrows. Instead of scrolling in the usual way, the user pans right or left using the thumb of their left hand while they can draw notes with the right hand. 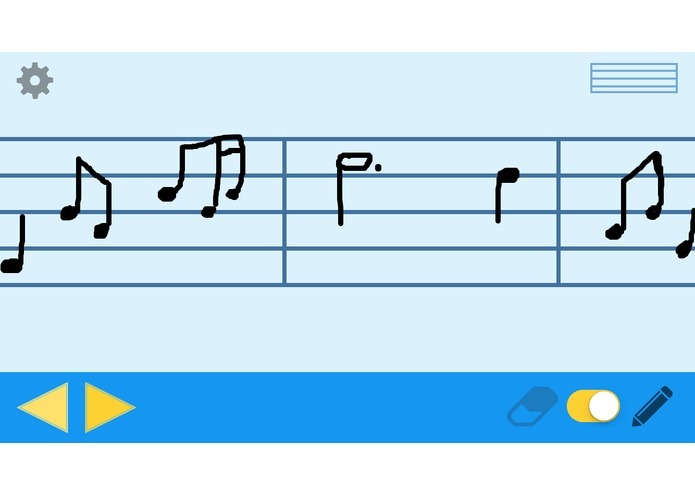 The app isn't meant to take handwritten notes and transform them into actual music notes - it's just more of a way to sketch ideas down in a hurry. A functionality I hope to work into the app in the future is the ability to export the file to a PDF that formats it into a sheet of music. The data model already splits the drawing using the measure bars, so that will enable it to transform the data later into a printable format. I had to learn a lot during the weekend, and it took a lot longer than I expected. 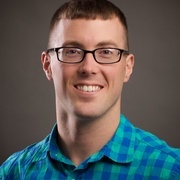 I had never worked with document based apps in iOS before, and I had never worked with Core Graphics. That and, working alone, I didn't have time to finish all the features I wanted to before the weekend was over. I will just have to complete them at home! I like the concept and how it turned out looking. It actually got a lot further than I thought it would! I came into the weekend as a newcomer to HackISU, so I was just looking to have fun and learn a lot. I learned about working with document based apps in iOS, Core Graphics, project planning, and programming on a deadline with little sleep. I hope to finish the rest of the app by the end of the semester. Once it's done I'll finally have a reason to spend the $99 to get an Apple Developer's license to put something on the app store!